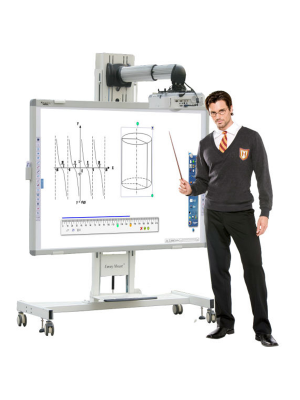 SmartBoard SBX885 Interactive Whiteboard is one of the most popular products in the collaborative communication markets, owing to its functionality and state of the art technology. It is designed to equip users with all the necessary collaborative tools they need to excel. 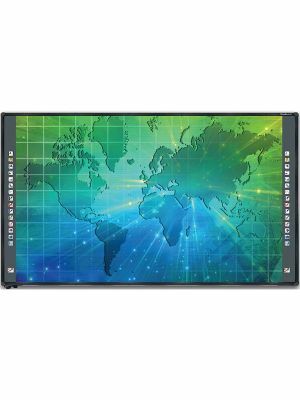 SmartBoard SBX885 is a massive 87” panel that is illuminated by the SMART UX80 Ultra-Short Throw Projector. Both these features complement each other perfectly to give users a desirable experience. The multi-touch interface allows multi user interactivity, with up to 4 users working on the whiteboard at the same time. This remarkable quality means that collaboration is possible even when there is a bigger team. 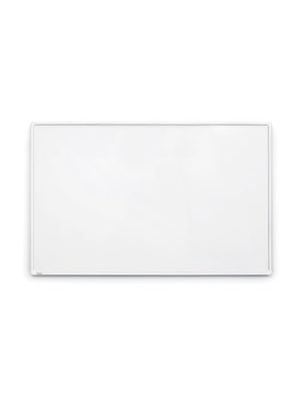 Smartboard SBX885 Interactive Whiteboard comes with a wide range of whiteboarding features. Apart from the extensive annotation tools panel, it has the same functionality as any normal computer system. Content and file sharing is possible, all while participants are annotating over it. Useful media may be imported directly from the internet using a browser. Moreover, a meeting can also be held to outsource advice on the brainstorming session. 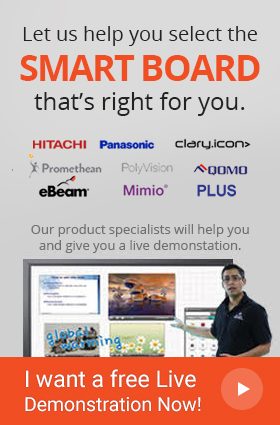 SmartBoard SBX885 Whiteboard certainly is a product that tops its class of the market. Its features and qualities make it an ideal option for the professional class among customers. 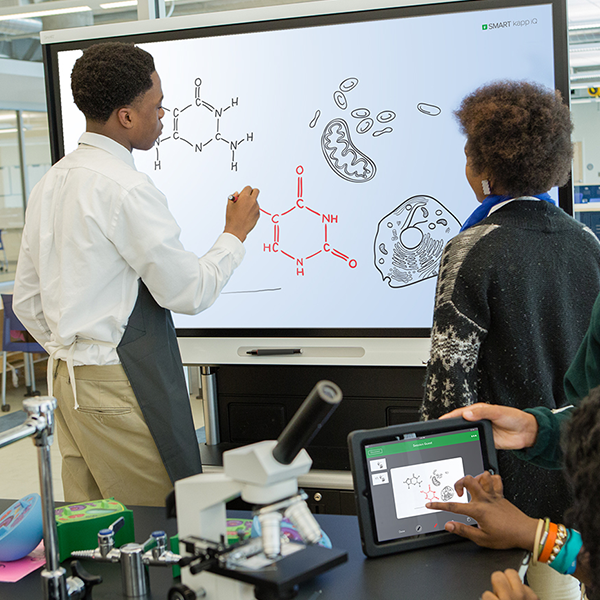 Working in collaboration becomes easily and practical with SmartBoard SBX885 as four people can interact simultaneously and work together with their pens or touch because of its multi touch provision. More user friendly features include multi user pen trays and provisions through which users can select the on screen keyboard and change ink colors. 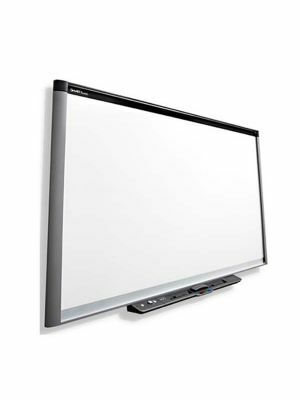 SmartBoard SBX885 offers a unique and intuitive set of technologies and allow the user’s experience to be as natural as possible. One of the great utilities is the object awareness feature through which the user can seamlessly switch between writing from the pen, erasing from the hand and moving different objects around from your fingers. This feature enables the user to have a natural experience while writing or drawing and facilities better and fast expression of ideas. This feature is always handy in customer client interactions and presentations in a typical office workplace. With the help of its SMART Notebook software, teachers can have access to a plethora of ready to use educational resources which are present on the SMART Exchange website. After having access to useful info, teachers can organize, plan, prepare and manage different lectures which are to be delivered to the students. Thus, the platform has a whole forms a perfect package to assist both students and teachers in their respective requirments. Q. What is the purpose of the SMART Notebook feature? A. Through the SMART Notebook feature, teachers can have access to an online library of thousands of resourceful materials to assist them in teaching. Q. What does the object awareness feature do? A. The object awareness feature allows the users to switch functions with ease. From writing with the pen and erasing with the palm to moving around objects. Q. How many people can work together simultaneously? A. Up to 4 people can work simultaneously on the board. Q. Is there a warranty with the SBX885? A. Smartboard SBX885 interactive whiteboard comes with a 5 year warranty.